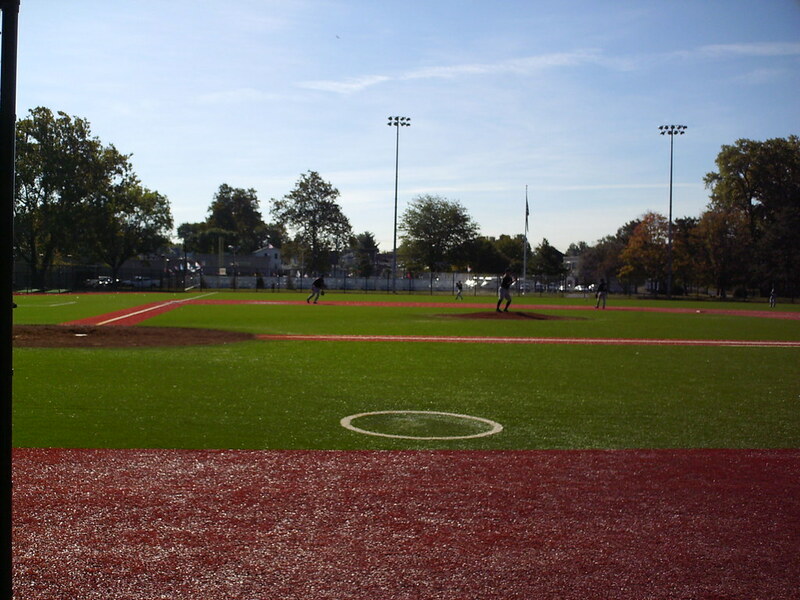 The view from behind home plate at Breslin Field. 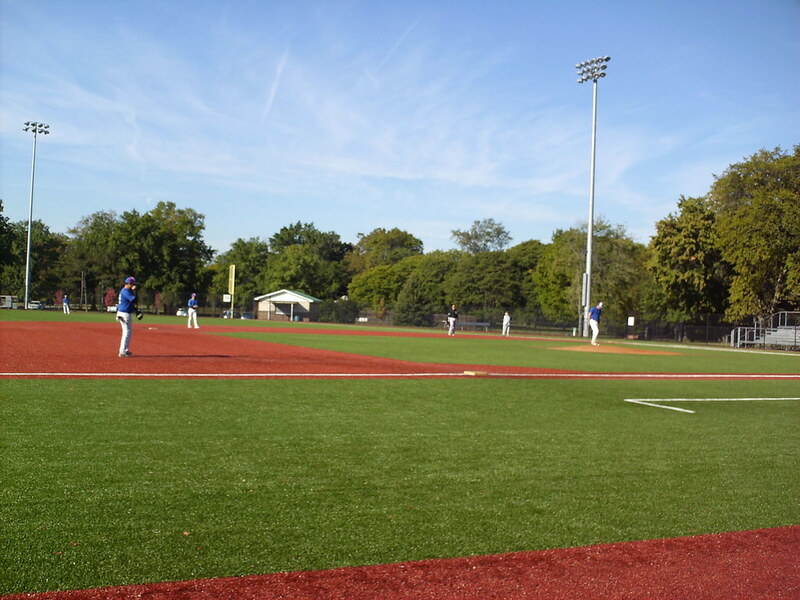 The playing field and stands at Breslin Field, as seen from center field. 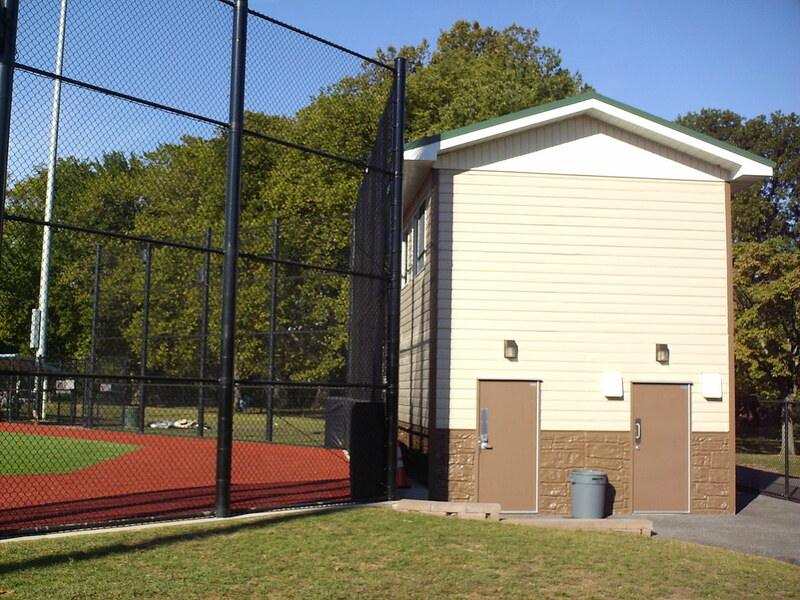 The pressbox and concession building sits directly behind the backstop, so there are no seats behind home plate. 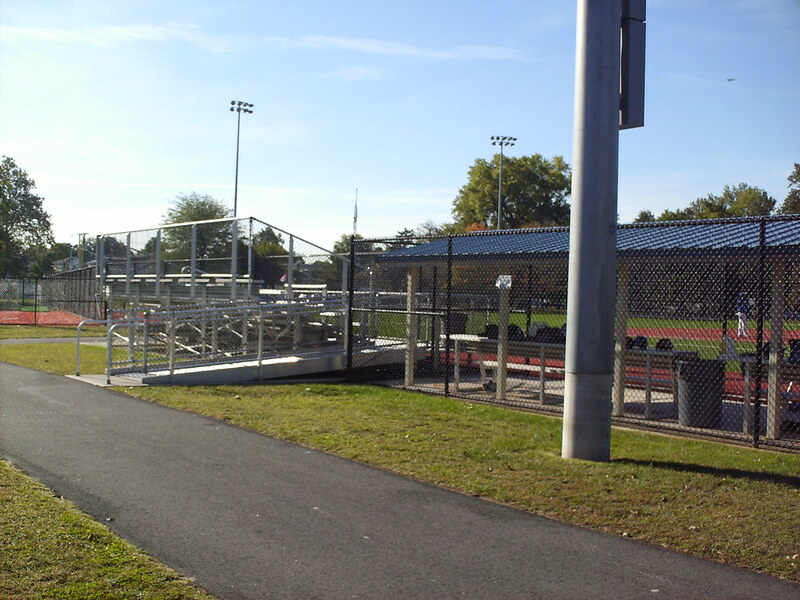 Seating at the park consists of a small aluminum bleacher section on either side of the field. 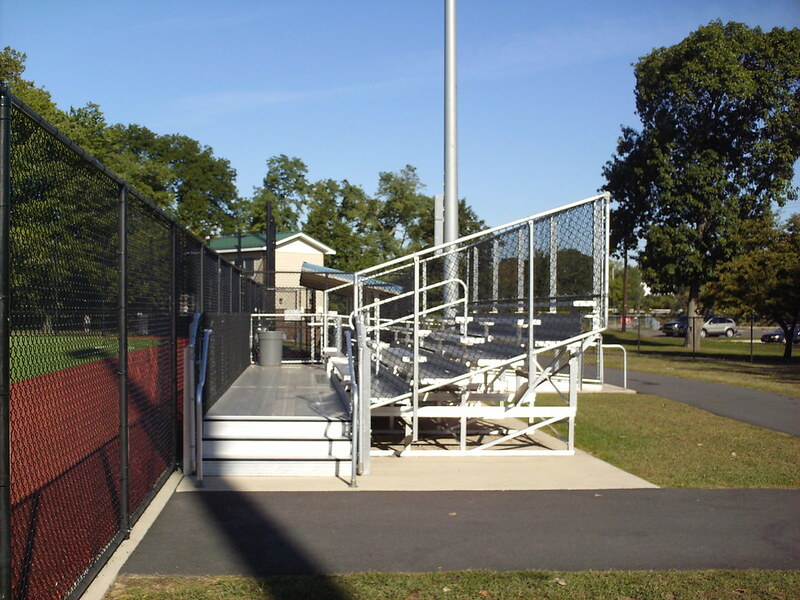 The chain link dugouts sit next to the stands, with the light stanchions behind them. 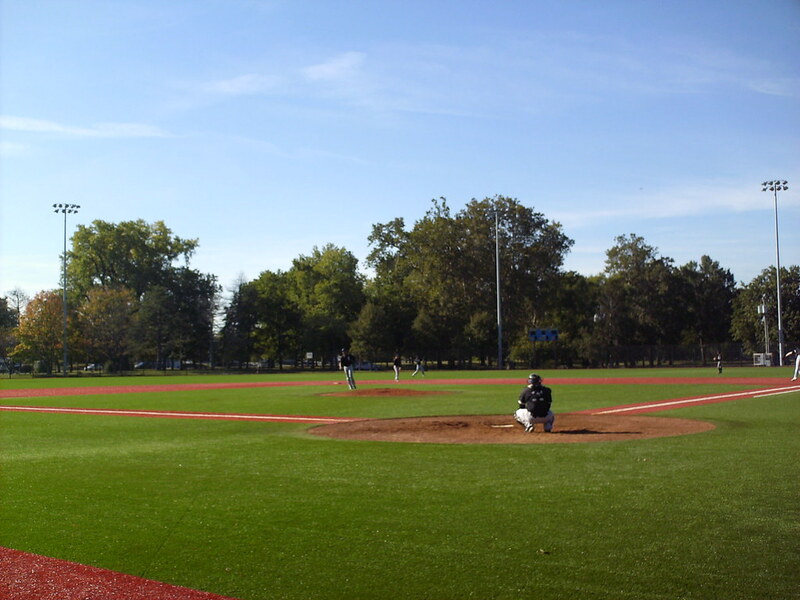 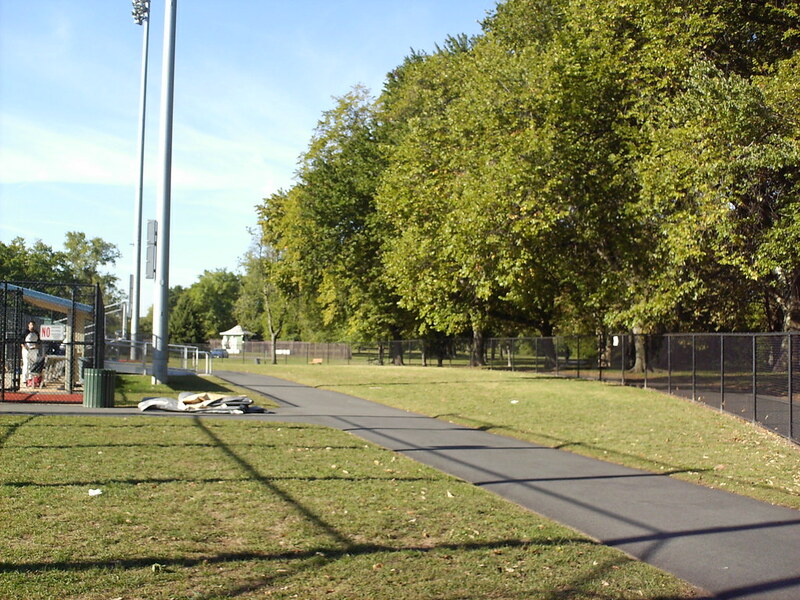 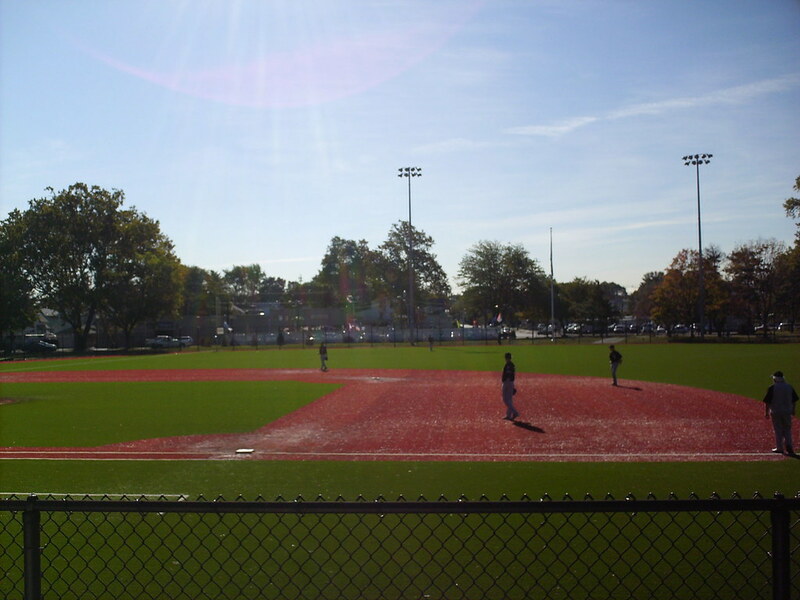 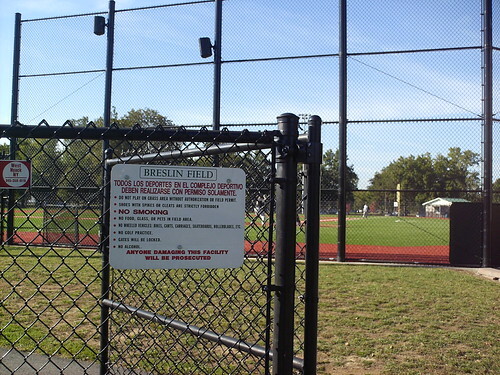 Breslin Field is located in a county park, and a shaded walking path wraps around the ballpark. 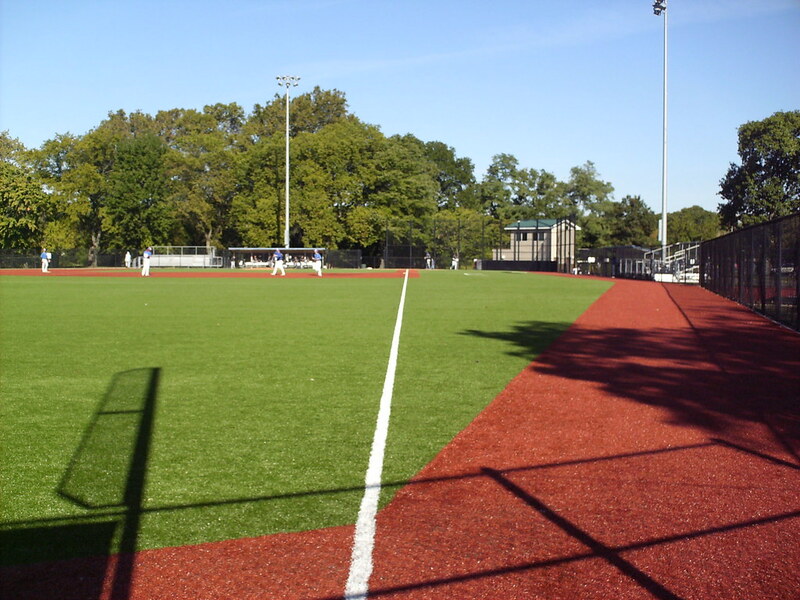 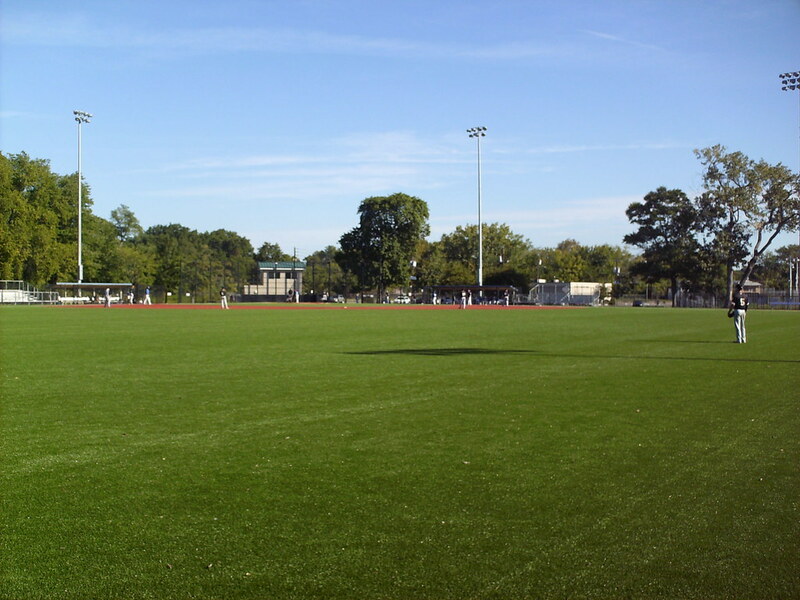 The playing surface is artificial turf, and the field features a wide area of foul territory down each base line. 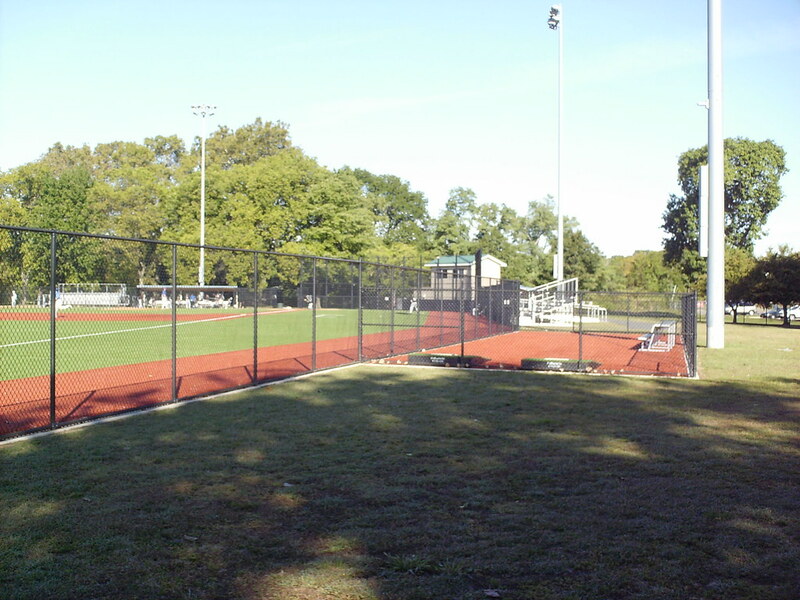 Turf-line bullpens sit in the outfield corners. 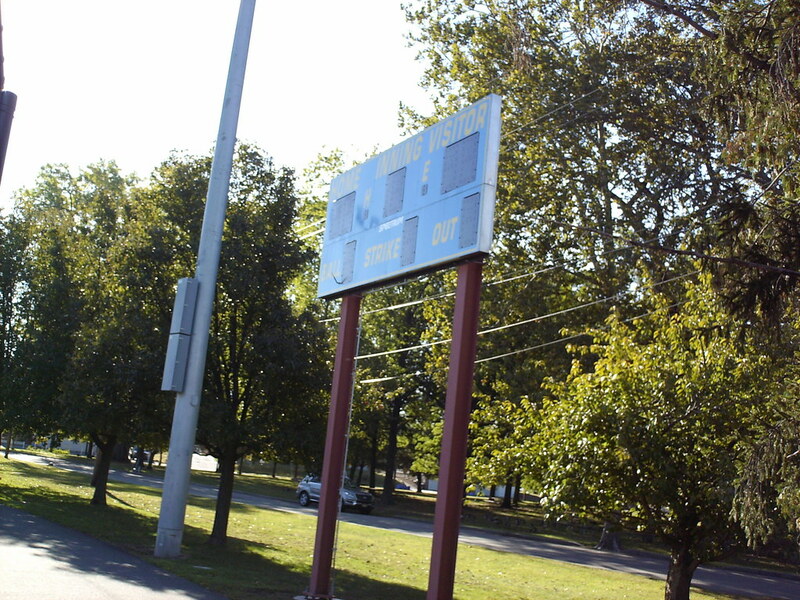 The small, basic scoreboard sits behind the outfield fence in right-center field.